In hopes that St. Nicholas soon would be there..."
Yep! It's that time of year again. And if you haven't found a stocking to hang yet, it's time to get on it and get going! Today's shop has a few you might want to check out. 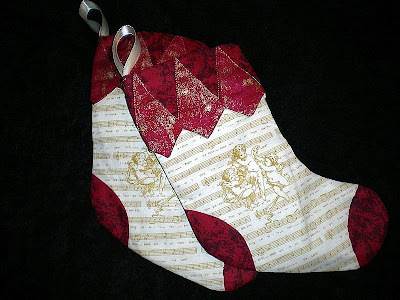 Beautiful handmade stockings, in fact, that are sure to delight. There's a couple of different styles offered as well as handmade Christmas ornaments and other holiday decorations you'll enjoy browsing through as well! 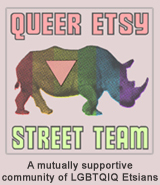 PruittHandCrafts on Etsy has a variety of all things fabric and fun that fills their shop. Not just Christmas ornaments but also aprons and purses, brooches and quilts. There's wall hangings, coffee sleeves, paper crafts and pillow covers. They have a decently sized holiday section if you're looking for some hand crafted decorations and a section dedicated to Breast Cancer Awareness as well! The craftswoman behind all these items is a breast cancer survivor and loving grandmother. She stays busy hand crafting all the beautiful items she has for sale in her shop not to mention her other TWO shops as well... PruittDesign and PruittSupply. YOU CAN CLICK ON THE PICTURE ABOVE TO VISIT PRUITTHANDCRAFTS ON ETSY AND TAKE A LOOK AROUND OR, IF YOU PREFER, YOU CAN CLICK RIGHT HERE!